Welcome fellow members of the Microwave Generation – honestly, that means everyone, right? I personally was not alive pre-microwaves and I can’t imagine my life without them. Whether it’s warming up leftovers at home or making a bag of popcorn for a study snack in my dorm, it is one of my must-have devices. This Emerson 1.2 Cu. 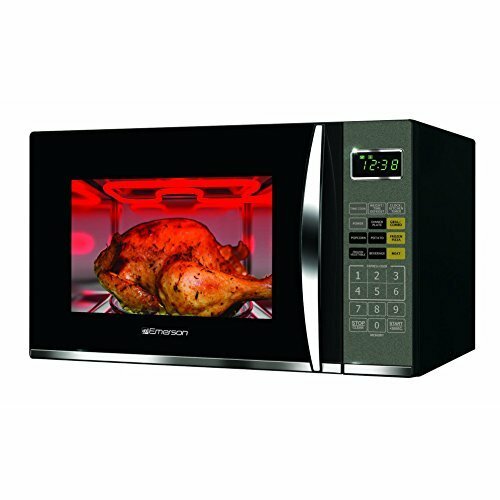 Ft., 1100-watt microwave is a great deal at just $70. It is regularly priced at over $100! Where do you use a microwave? We have one in our kitchen, one in our basement, and of course one in my dorm room. At this price, you can afford to pick up an extra one just to have a spare. Do you need one for your camper while traveling for the holidays? Do you have a vacation property that needs updated appliances? Do you need one for a prospective college student? This makes a great holiday, birthday or graduation gift. This one has all the pre-programmed settings a college student needs: Popcorn, Frozen Pizza, Dinner Plate and Beverage. Besides popcorn, I use mine for hot chocolate, tea and leftovers from the cafeteria and other takeout. This is a deal you definitely don’t want to miss. 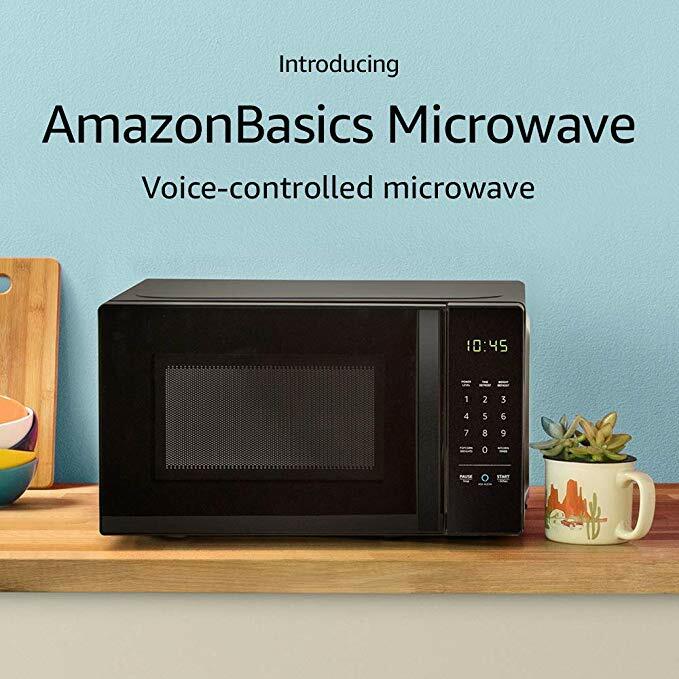 Now, if you’re in need of a microwave, but aren’t looking for something quite as big and you also own an Alexa device, this microwave might be a better fit: The Amazon Alexa Microwave responds to your voice activated control. It may not be a life necessity, but it might be fun to get the popcorn popping while you are doing something else. 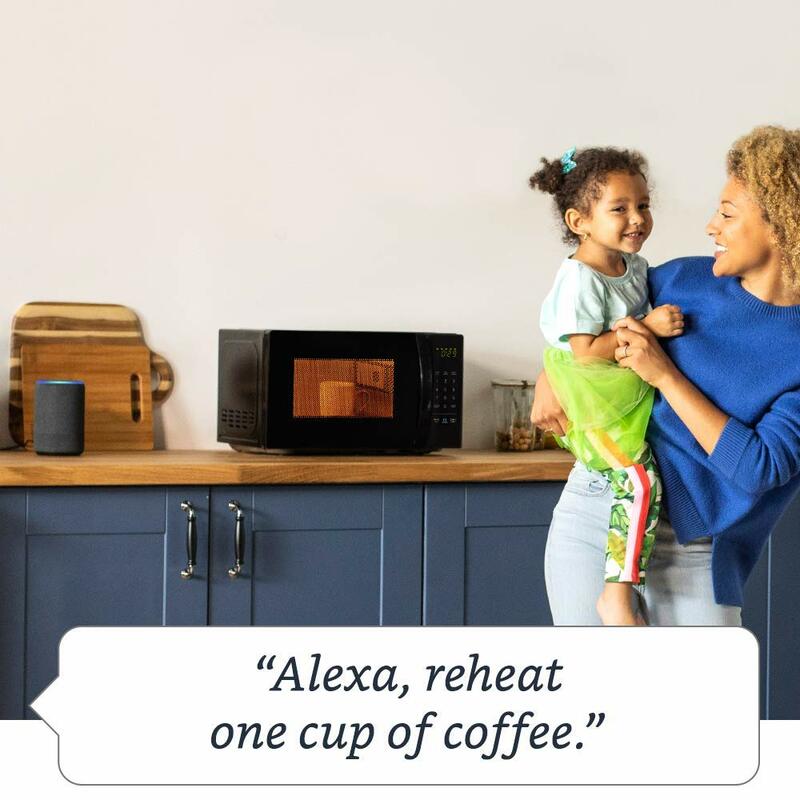 The Alexa Microwave is 0.7 Cu. Ft. and 700 Watts. I know some colleges have restrictions on wattage, so this may be perfect for your prospective college student! Also, with the Alexa feature, you’ll never run out of popcorn again! I know one of those most disappointing things in school is going to make myself a nice popcorn snack and I’m out. The Alexa feature allows you to ask Alexa to either add food to your list, or even order food from Amazon’s pantry right from the microwave! As a college student in the Microwave Generation, I cannot imagine my life without a microwave and both of these can make great dorm additions or even a great gift!